Calgary Flames beat the Edmonton Oilers 6-4 in the New Year's Eve Battle of Alberta. 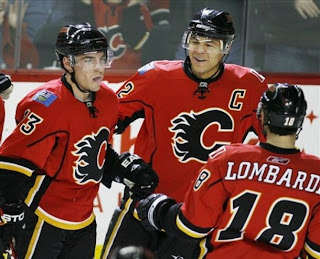 Flames Captain Jarome Iginla and Mike Cammalleri each scored two goals and added three assists. The five point game is a first and career high for both. The also put the Flames at a solid first place in the Northwest Division heading into the new year....Happy New Year, indeed.